Life doesn’t stand at one place so we always go ahead. We grow, develop ourselves and go through different life stages. Money is important part life and it’s needless to say that it impacts many things. Maybe you have just got your college degree or made a decision to get married – all important events in our life are one or another way connected with the money. Financial literacy helps people to become successful but all financial experts give different money advice so it’s not so hard to get confused. But there are strategies which always work and can help you on any stage on your life. Many of young people don’t hurry to start saving money for retirement. When you’re young, you’re sure that life is so long, so for sure you have time for that. But financial experts strongly recommend to start saving for retirement as soon as possible. For the first, it helps to build good saving habits and it makes you wiser. For the second, it helps you to provide yourself comfortable financial future. Just think for a minute how you imagine your old ages. You want to see the world, to rest, to spend time doing things you like, don’t you? That’s why you should take care of it in your young ages. People don’t want to look for ways to earn money when they 60-70 years old. But if they have not enough savings they should continue working. Take an advantage of 401(k) or IRA. Save some money to make your first deposit and understand importance of investing in your future. It doesn’t matter what’s happening in your life now and which stage of it you’re experiencing, if you don’t have an emergency fund you should start it immediately! Life is absolutely unpredictable and you never know when financial problem can arise. You may carefully plan your expenses but no one is secured from emergencies. Teach yourself to save at least 10-15% of your monthly income for emergency occasions. It will make you feel confident in your future, in case you will lose a job you’ll be able to provide yourself at least for some period. People with no savings borrow money and apply for emergency loans to fix unexpected financial problems. In case you want to feel protected and avoid debt find a way to start saving up. Living in debt is uncomfortable and not good for a financially literate person. One of the first debts we face in life is a college one. Create a plan which can help you making payments on your loan regularly. If you also have a credit card debt or an auto loan then start from repaying the loan with highest interest rate. You will save enough money on paying the interest if you will prioritize your loan repayment wisely. It’s worth noticing that debt elimination is not a reason not to build savings. You need savings because they can not only assist you to solve some money problems but also they can build your wealth. Consider investing your money. There are effective ways to make your savings work! Don’t be afraid of taking risks. Choose the most comfortable way and start from making small steps. 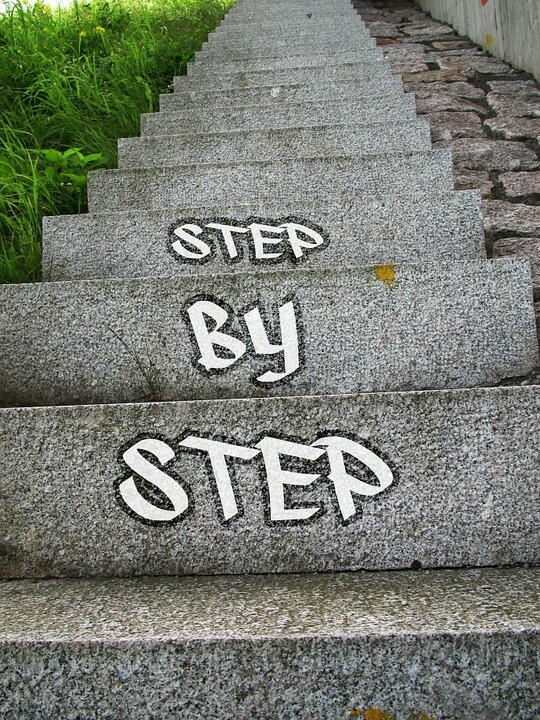 You’ll see that these small steps will help you to achieve true success.